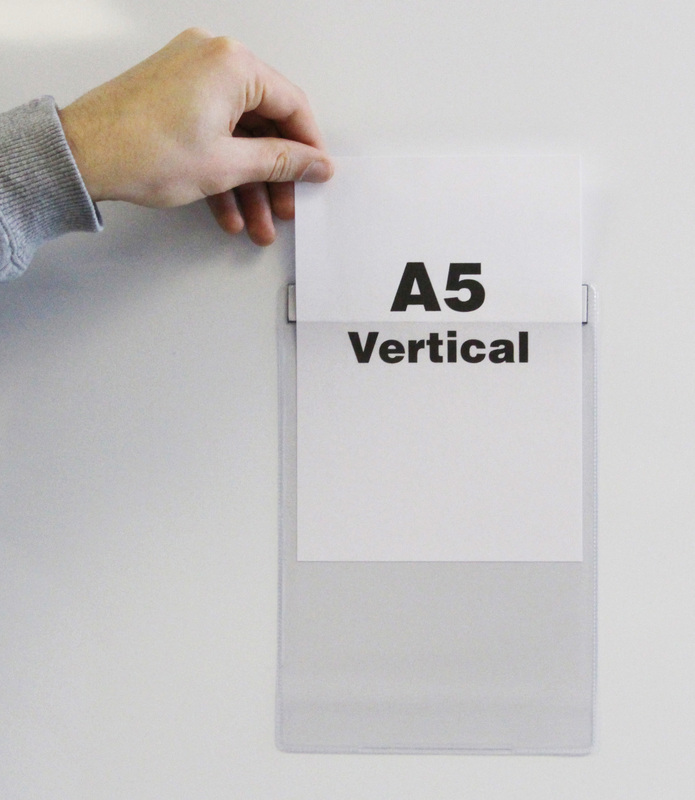 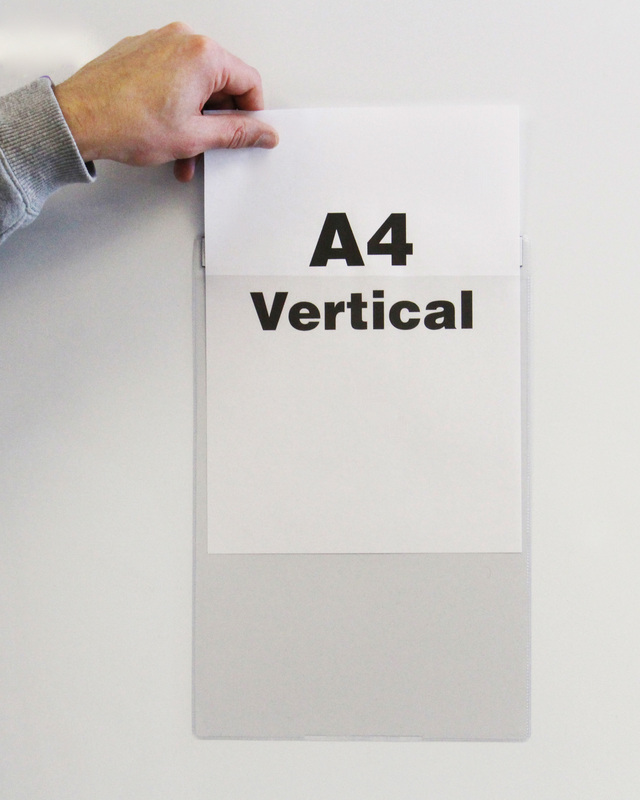 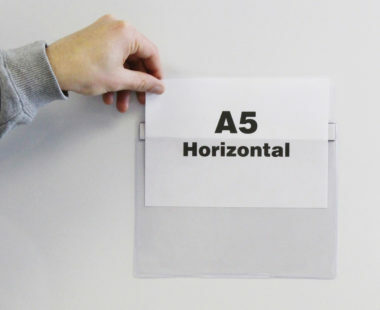 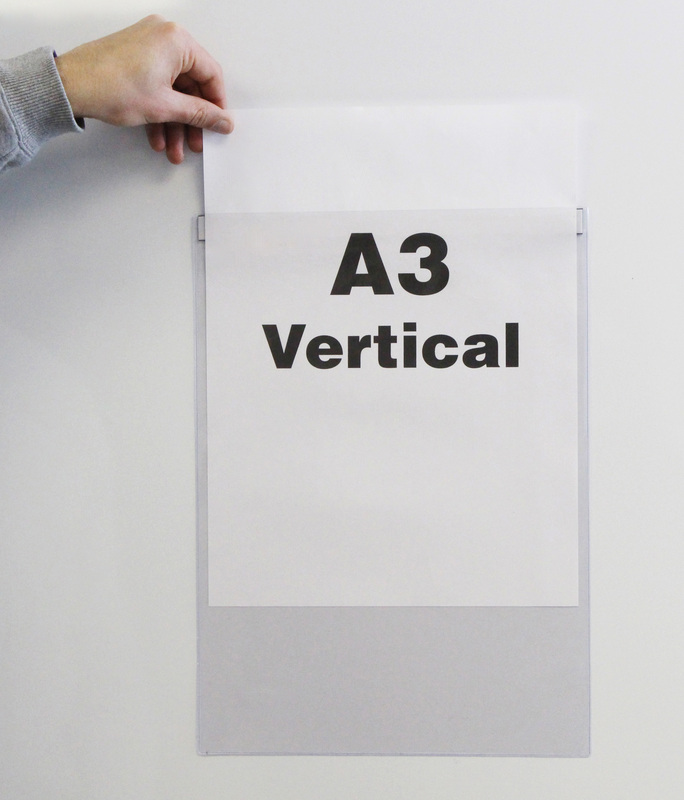 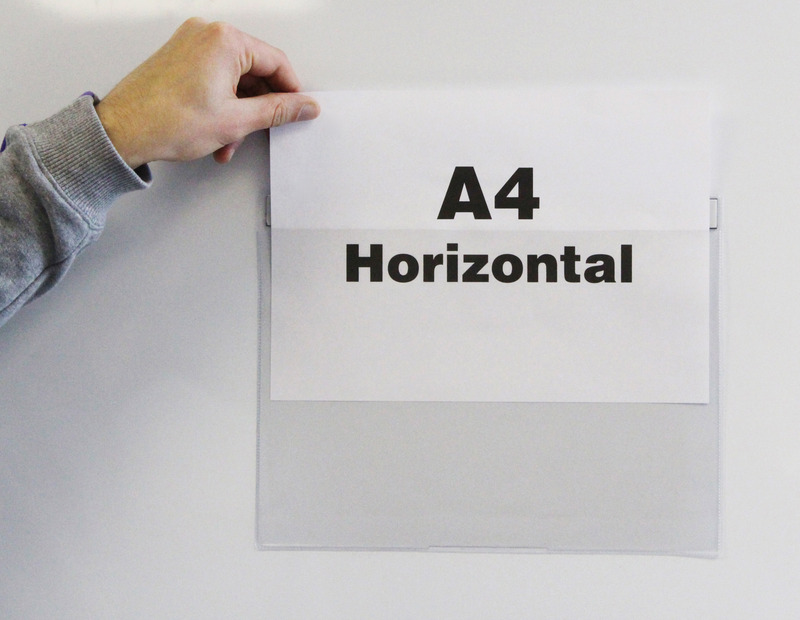 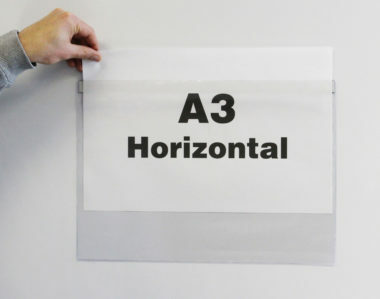 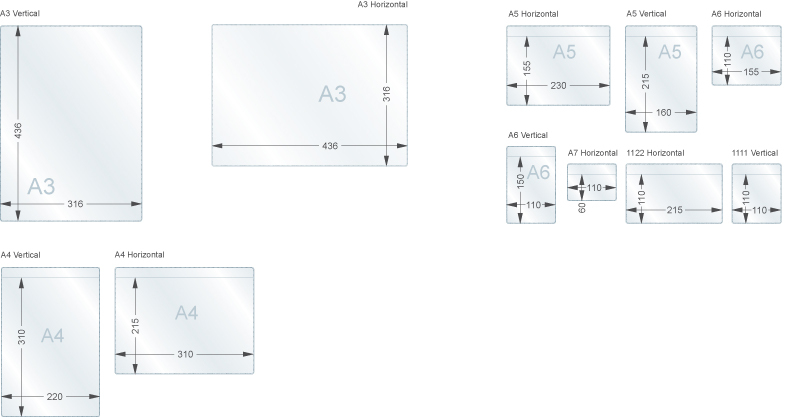 Magnetic document pockets are ideal for relocating on steel surfaces, industrial strength magnetic pockets are available for most common paper sizes from A3-A7 in horizontal and vertical formats. 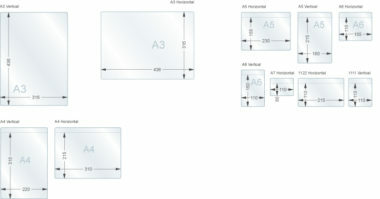 Tags: document pockets, magnetic pockets, Pockets, clear document holders. 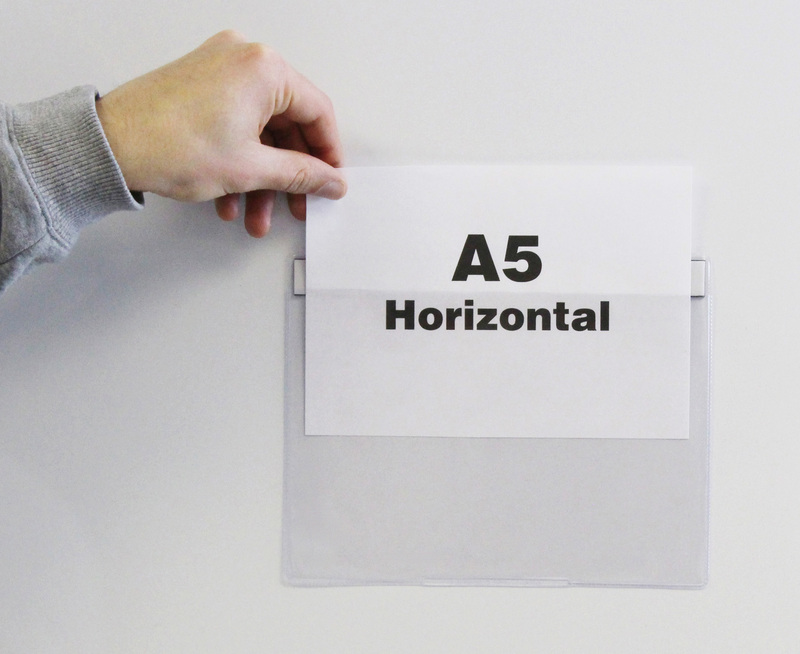 A range of magnetic document pockets to suit most environments. The pockets are supplied with a magnetic strip along the top, so that they can be simply lifted and relocated when necessary.